This graph shows the share of Twitter activity on the day of the Grammy Awards ceremony, January 26, 2014, broken down by the country from which the tweets originated. The United States accounted for 62.5 percent of all mentions. 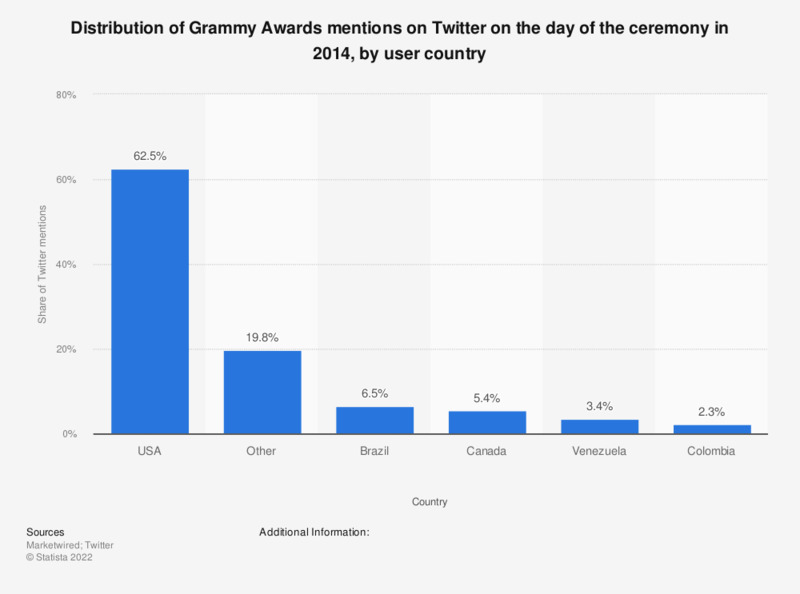 While the US had the largest share of Twitter activity, the Latin American countries of Brazil, Venezuela, and Colombia also exhibited an interest in the Grammy awards; Brazil's share alone was 6.5 percent of all Grammy Twitter mentions.